More people have access to drinking water and sanitation than ever before, but more investment is needed to maintain those systems. Despite achieving a global goal for access to safe drinking water systems that is five years ahead of schedule, a new assessment from the United Nations water program warns that many nations are not planning the financial or human resources investments that are necessary to maintain current levels of service. 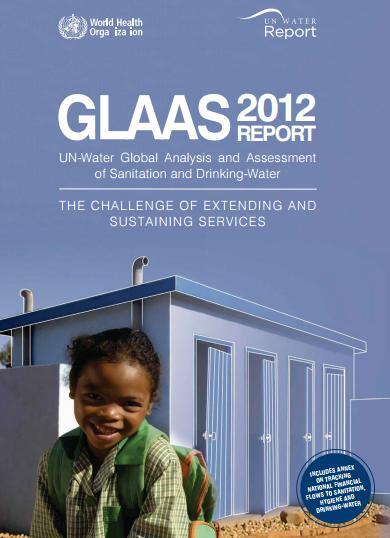 This is the second Global Analysis and Assessment of Sanitation and Drinking-Water (GLAAS) report. First published in 2010, the biennial report analyzes what policies, resources, and investments are required to maintain and extend access to safe drinking water, sanitation, and hygiene, known collectively as WASH. Between 1990 and 2010, more than 2 billion people gained access to an improved drinking water source, according to a March report from the World Health Organization/UNICEF Joint Monitoring Program (JMP). The UN defines “access” in terms of the infrastructure used to acquire water and not by the quality of the water itself. Nonetheless, in those two decades, the proportion of the global population without access to improved sources dropped from 24 percent to 11 percent, thereby achieving the UN’s Millennium Development Goal (MDG) for water, which aimed to cut in half the proportion without access by 2015. Yet, 780 million people still live without safe sources of drinking water, and 2.5 billion lack adequate sanitation. But the GLAAS report released today notes that even these gains are unevenly distributed across the world. More than anything, economic growth in China and India allowed the UN goal to be met, since the JMP report attributed half of the world’s progress toward the drinking water target to those two countries alone. Meanwhile, over 70 percent of the world’s population without proper sanitation and drinking water lives in sub-Saharan Africa, South Asia, and Southeast Asia, but these regions receive conly half of the development aid for the WASH sector. Furthermore, funds distributed within countries are disproportionately directed to urban centers, where coverage is relatively high compared with rural areas. The GLAAS report recommends that national governments spend more money on operations, maintenance, and training, and that they put WASH services in key government agencies where they will not be neglected. For donor groups, the report recommends focusing on countries that are not on track to meet WASH goals and providing more money for operations and maintenance.